Is work getting you down? Do you fancy a change to something entirely more relaxing, more fulfilling and closer to nature? You do? Well, how about this? Imagine waking up on a Monday morning actually looking forward to the week ahead. No lengthy commute along noisy and dangerous motorways breathing in lungfuls of carbon monoxide as you wind the window down to freshen the stale air inside your car. No worry about meetings and schedules, targets and turnover. No unpleasant thoughts about sitting in a claustrophobic office next to coworkers you can’t stand before the second lengthy and unpleasant car journey of the day to get back to a home you’re too tired to enjoy. If fact, imagine no stress or worries at all. In your new trouble free life you wake to the sound of water fowl on the lake where you’re boat is moored after being lulled into a deep and tranquil sleep by the hooting of a tawny owl in the seven acre wood a stone’s throw from your boat the night before. It’s early May and you enjoy a leisurely breakfast followed by an equally relaxing stroll along a grassy grassy flower carpeted bank on your two minute commute to your new job just a quarter of a mile away. Your week begins with a day sitting on a comfortable ride on mower driving sedately through acres of cowslips and ox eye daisies under falling blossom from hundreds of wild cherry trees. The following day, after yet another tranquil night on your floating home, you spend your working hours moving narrowboats off their winter moorings, out of the marina and up through two gentle locks to their wharf-side summer home. It’s boating at its most pleasant, and you’re getting paid to do it. The days merge into weeks, the weeks into months, and there’s not a part of your life you have to worry about. You don’t get paid much, but you don’t care. Life’s a dream, and you wouldn’t swap it for the world. Actually, you would swap it if you were me and you were planning to embark on an exciting new adventure exploring England and Wales from the comfort of your own floating home. As you know, I’m off on my travels next April. Calcutt Boats will be looking for a replacement for me. I wondered whether you would be interested in applying for the position before it’s advertised officially. The job is a joy. The Calcutt Boats site covers 110 acres of some of the most beautiful countryside in rural Warwickshire. Three meadows have been designated as a Site of Special Scientific Interest (SSSI) because of the rich variety of flowers and grasses. The main part of the site is forty acres, ten of which is taken by the two marinas where 250+ boats are moored. Within the forty acres are seven acres of woodland containing forty nine (that I know of) species of trees, over 8,000 of them in total. There’s also another seventy acres of agricultural land to look after. Two years ago I spent eight weeks over the winter cutting a rough track through land which hadn’t been used or visited for more than a decade. At dusk I had the pleasure of seeing barn owls swooping feet above my head and saw both roe and muncjack deer stepping nervously across the path ahead of me. I spent a couple of days felling and logging oak and ash in the larger of the two woodland areas, then loading the cut logs into our site Nissan pickup for transportation and storage at the marina owner’s house nearby. Over at his house, the log store needed rearranging before offloading the fresh logs. Yesterday, Pat and I spent the afternoon moving engines. A twenty feet long container where we had refurbished engines stored needed emptying at short notice ready for a moorer to move his things into the following day. The engines were moved with our Merlot fork lift truck but they had to be moved within reach of the forklift in the first place so they had to be dragged into place both ends manually. It’s hard work, but it’s great exercise. I’ll miss it. One of the grass cutting jobs I won’t miss is the dreaded “steep banks”. One of our car parks was built on a thirty year old mountain of spoil from the canal. There’s a 100m stretch raised thirty feet above the level of our older Locks marina. Between the marina and the car park is a grassed forty five degree slope. The only way we can cut it is with a Flymo on a rope. To cut the full length takes about six hours of very demanding labour. The job on occasion can also be less than pleasant. The work is 100% outside. You’ll work when there’s thick snow on the ground and ice on the marina, when there’s a howling gale blowing, when there’s hail and driving rain lashing your face (you won’t actually work in heavy rain. You’ll find something, anything, to do to get you out of it, but don’t tell the management that), and you’ll work in the searing heat of the midday sun at the height of summer. Obviously I like the last bit more than other stuff. I get to wear shorts and a tee shirt for work for at least six months of the year. In fact, Pat still has his shorts on now, but he certainly doesn’t look warm. Pat and I, the grounds team, are also the rubbish and sewage team. We have to manage the rubbish on site which means emptying the bins and jumping on them to compress the rubbish when the bins are too full. Pat is better at this than I am as he can provide an additional two stone of compression. Our site processes its own human waste. All of the sewage from the site’s two pump out machines, the two Elsan points, the shower block and the toilets by reception and in the main building, flows four hundred metres to our reed bed filtration plant. The solids remain in two large holding tanks ready for removal by a contractor once a month. The liquids continue through the reed beds where the water is purified before entering the area’s field drainage system. Several times a year, there’s a blockage somewhere between the highest point at the wharf and the reed beds. Pat or I, sometimes both of us, don elbow length rubber gloves and chest waders, collect an armful of metre length rods and set off in search of the blockage. The cause is usually a cassette cap which has been inadvertently dropped down the Elsan point. The endurance record is currently held by me for a seven hour session standing thigh deep in the brown stuff trying to remove what predictably turned out to be a cassette cap from a difficult to reach section of pipe in our tip area. I had a lonnnng shower after that little adventure. Sewage days are few and far between though and the smell is something you get used to very quickly after a couple of dozen narrowboat pump outs on the wharf. In April this mainly exceptionally enjoyable position will be vacant. Just about every aspect of the job will make you smile, including the rate of pay, but that will be more a smile of disbelief rather than one of pleasure. It’s a lifestyle choice rather than a job you do to put money in the bank so if your current lifestyle is causing you pain then maybe you’ll be interested. The position may come with a mooring. I have what I consider to be one of the best moorings on either of the two marinas but this one wouldn’t be available. I think there are already one or two boaters who have their beady eyes on it. There may be an alternative mooring, but you’ll have to ask. If you think the position would suit you, please email me and I’ll give you more details. Back on the boat, as ever, I’ve been spending a not so small fortune fine tuning the boat ready for a lifetime’s cruising. My Mercedes engine, I recently discovered, is one of the most reliable and durable engines ever made. They’re often used in African taxis where cars which have done 500,000 miles are common and ones which have done 1,000,000 miles are not unheard of. Of course, a boat engine isn’t described by the number of miles it’s done, but rather by the number of hours. Mine has done 4,600 hours in the last thirty seven years although the ridiculously expensive (£37 per hour) marine engineer who spent the day with me yesterday tells me that the engine has probably only done 80% of that because the odometer is wired to the ignition rather than the engine itself. He told me, and he is the second marine engineer to tell me the same thing, that my engine should be good for 100,000 hours. Given that it has done an average of just 124 hours a year for the last thirty seven years, at the same average, it will last another 653 years. I think it will probably be the only engine I ever need. While he was with me yesterday, the engineer fitted a powerful halogen headlight for tunnels and night time cruising, fixed the instrument display lights so that I can actually see them when I’m cruising in the dark, adjusted the alternator to increase the output and to reduce wear and tear, and finally presented me with a bill to make my eyes water. Still, that’s another job ticked off the list. All that remains to be done now is to get some remedial carpentry done to the rear hatch to improve safety and security, and have a central heating system installed to supplement the solid fuel stove. Both of those jobs will be done early next year. Early next year is going to be a busy time for me. Three years ago I had my wooden cabin over plated with steel. A couple of coats of primer were applied to the bare steel when the boat was returned to Calcutt Boats then, six months later in April 2012, I spent three weeks painting the cabin “properly”. Apparently, not properly enough though. The boat is getting a fair amount of use at the moment. Apart from living on board full time here at the marina, I’m taking my floating home for a cruise on average one day a week. There are often people climbing on and off the stern or using any of the four ropes to moor the boat or to control it while we are traveling. There are low hanging oak, ash and willow branches brushing against the roof, or brambles, hawthorn and blackthorn scouring the cabin sides. And then there’s the occasional inevitable brush with another boat, some of them fenderless and a real danger to paintwork. As a result of this expected wear and tear and my own inability to apply the paint as well as I should, there are numerous chips, flakes and abrasions in the cabin paint and two substantial four feet long scratches, one on the port and one on the starboard side. The scratches in particular need attending to. Both are down to bare metal in places. The chips and flakes aren’t going to do the boat any harm at the moment but as I’ve spent a considerable amount of money to make the boat look as good as it does, I want to keep it in the best condition I can. The original plan for April next year was to head up to Llangollen as soon as I’ve finished my early April discovery days. I want to touch up the cabin pain though and I want to have some sign writing done at the same time. I’ve booked one of Calcutt Boats’ paint tents for ten days in April. Once that’s done, I’ll have the boat taken out of the water so I can spend a couple of days blacking the hull and repainting the tunnel flashes. While it’s out of the water, a worn rudder bearing and all four anodes will be replaced. Once all of that is done, we’ll have a month to potter about before the Crick boat show at the end of May. After the boat show, we’ll be back at Calcutt for another ten day’s discovery day training sessions. Then we’ll go to Llangollen. Last week I published some responses I received to the previous week’s article on cruising the capital’s waterways. Neither the original article or the comments which followed it cast either the London canal network or any of the boat owners who live there in a particularly favourable light. Here are a couple of comments to help redress the balance. 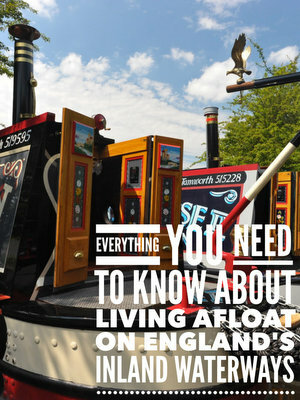 “I felt obliged to reply about the London narrow boat views expressed in the newsletter. I don’t own a narrow boat, but I do commute into London. I would like to live in London, but costs are too much. I think this perspective needs to be highlighted. People live on boats as it is cost effective. There is very little allowance for this situation. One one hand people visiting need to moore, but people also need a place to live. It is a classic situation, where something needs to be done, but nobody has done it. ” I was disappointed that nobody had written to say anything positive about the canals in London. I have moored in Paddington Basin 4 times in the last six months and haven’t had a problem finding a mooring. CRT do check the moorings pretty regularly. It’s a terrific place, remarkably quiet for it’s location, clean and secure. The same is true of Limehouse basin. The main issue can be finding moorings in between but provided you’re prepared to breast up I haven’t found a problem. If you don’t venture further than Paddington basin you’re missing out. It’s fascinating to thread your way through London’s back door. Camden market can be really buzzing and a detour into Battlebridge basin to the canal museum is well worth the effort of squeezing into the tight mooring space. Narrowboat ownership is an expensive hobby. The purchase of the boat itself is the second largest purchase that most people will ever make after that of the house they live in. Expenditure doesn’t stop with the cost of the boat. There are mooring and license fees and general running costs and repairs and maintenance. For many aspiring narrowboat owners, the initial purchase price and the regular cost to keep the boat licensed and it good condition is just too much. You may be one of these people and you may have considered a more cost effective option to help you get afloat, at least for part of the year. Shared ownership allows you to enjoy the benefits of narrowboat ownership but at a fraction of the cost. I wrote about the subject two years ago in this article but I’m adding to it now courtesy of the ever helpful Peter Earley. Peter has been a continuous cruiser for the last seven years but after two decades of regular narrowboat hire and before he invested in his own live aboard narrowboat, Peter and his wife purchased a share in a boat. He’s kindly sent me the following article for consideration by those considering doing the same. “We bought the 11th share of 12 in the, then new, narrowboat Sundowner in October 1999. This was in a shared ownership scheme run by Ownerships. It wasn’t something we went into lightly, after all we were paying out £6000, but we read all the paperwork carefully and the fact that we actually owned our bit of boat and a holiday on a horrible boat hired from one of the largest UK hire companies decided it for us. Our dates for using the boat were decided by the list system. The owners are listed in a set sequence which rotates two places each year. For this year, the first choice of weeks goes to the owners at the top of the list and then in order down the list. At the end of the year, the two owners at the top of the list drop to the bottom and everyone else moves up. We were able to choose 2 weeks in the summer period and 2 in the winter. The remaining free weeks were up for grabs, with the priority from the bottom of the list this time around. In our case on the two occasions we were in the bottom two, the owner beneath us grabbed them so if you buy a share in a boat using this system, try to get an even numbered share! In the original Ownership scheme it was possible for some owners to pay a higher amount, which meant that the others paid a lower amount, to guarantee weeks during the school holidays. This meant that they always had the first pick regardless of where they were in the share listing. It was quite common for two or more owners to agree to remote changeovers which meant they didn’t have to do out and back cruises but were able to extend the cruising range. It obviously meant agreeing on a place with car access and the ability to fill the diesel tank and empty the toilet tanks. It also meant you had to spend most of the first day, or the last day, moving cars around. We have friends in an ex-Challenger boat. Here the owners pick their weeks out of the hat meaning quite a bit of horse trading has to go on after the draw. So split amongst 12 owners it will cost each one £600 plus a management charge of £436 plus their diesel, gas and pumpouts costs. So for about the cost of a weeks hire you have use of Sundowner for 4 weeks. A bargain, with the added bonus of it being your boat. Something that you have had input into, whether it be touching up the paintwork or choosing the curtain design or floor covering. Each year, the owners get together and decide where the boat will be based for the coming year, what maintenance or repairs are needed and what changes or improvements are required. Of course you don’t actually have to do any of these things. You just direct the management company, in this case BCBM, what you want doing. They will cost it and agree it with you and send you the bill. But of course you are only paying a twelfth of the total cost. You will also agree how much money each owner should have to put into the ‘sinking fund’. This is not to refloat the boat after an accident but is to build up a fund for emergencies or for replacing major components such as engine or gearbox. When buying a used share you might want to check how old some of these components are to enable you to assess what major expenses are likely to arise in the near future. If you want a cheaper deal and are prepared to be involved with the running of the boat then go for a private syndicate. Our friends with the ex-Challenger boat do exactly that. They elect a Chairman and Treasurer each year and decide what needs doing when, just as they did when Challenger were involved. It is said that managed boats can make savings on some costs due to economy of scale but our friends have found it much cheaper running it themselves, not just in the saving of management fees but the ability to haggle or do some of the work themselves. There is a share in Sundowner currently for sale at £2500 giving the boat a value of £30000. I would think it unlikely that the value drops much lower meaning a secondhand share bought now could be sold in 5 or 6 years time without much loss. So, what happens when you want leave the scheme to buy your own boat or that villa in the Algarve. In our case it was easy. At that time Ownerships ran a ‘Guaranteed Buy-Back Scheme. Those owners that wished to, could pay a small sum each year and when they wanted out, Ownership would buy the share at a previously agreed price. The price was a slight bone of contention as most of us thought it too low but, knowing we intended to buy our own boat, it was an easy way out. Otherwise, you decide how much you want for your share and the management company will try and sell it. Being your property, you can also advertise it on eBay, Gumtree, Apolloduck or whatever. Many put a sign in the boat window whilst they are cruising. One couple on Sundowner that we keep in touch with did just that and sold it within a few days. But, of course, it is a question of getting the price right and here your management company can advise you. I’ve mentioned the sinking fund and if this has accumulated a large amount you might wish to take this into account when setting the sale price. After a chance meeting on a cycling holiday in Jordan, Aileen and Mike can now cycle together along the towpath next to their beautiful floating home as they continuously cruises the connected waterways of England and Wales. Here’s their story. 2014 hasn’t been a good year for quality narrowboat builders. Sea Otter ceased trading in June. Their high quality aluminium narrowboats were very popular but not popular enough to keep the company solvent. Another boat builder of distinction ceased trading this week. Steve Hudson of S M Hudson boat builders died last Tuesday after a short illness at the tender age of fifty five. The owners of his boats have always been evangelists. His summer open days at Glascote basin were always attended by dozens of current Hudson boat owners and their boats. It’s always sad to hear of anyone passing away at such a tender age but particularly so when they contributed so much to the inland waterways. “The day was great – from the friendly warm welcome and cup of hot tea, to the exploration of James in detail. You managed to answer all of my questions on many varied topics patiently and in a succinct and easy to understand fashion. I like your calm approach to everything. I threw loads of questions at you from heating through condensation to usage of water, lights, washing machine, toilets, usage of gas and diesel, and lots more and you answered them all for me. I was particularly keen to get down to the real nitty gritty details, and you have certainly cleared my mind on all of the issues I raised. And then off we set on a journey through apparently beautiful countryside, somewhat hidden in the murk. I felt instantly at ease controlling the boat under your guidance and again I praise you for your calm approach and direction. I also feel much happier about negotiating locks single handed. All in all the day was a brilliant success for me, most enjoyable and informative and made me confident that I will be able to make the change in my lifestyle successfully. I would most certainly recommend this to anyone who was thinking about buying a narrow boat. It will enable people to really understand what is involved, in great detail, and with a friendly informative and calm teacher! You can find out more about my discovery days and availability here.